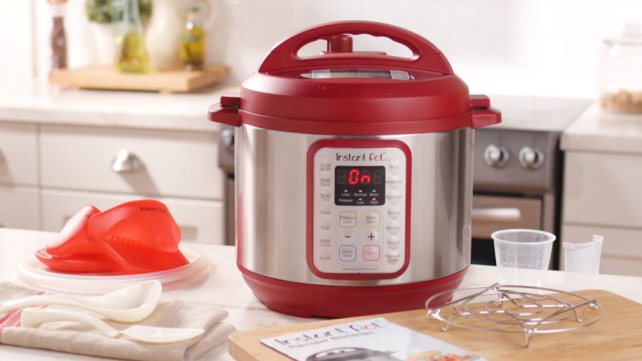 From their budget models to their latest and greatest, Instant Pot has a multicooker that's right for you. Surprise! People love Instant Pot—so much so that the brand’s amassed 1.6 millions fans on Facebook and sold 300,000 units during the last Prime Day alone. It seems like an entire ecosystem of cookbooks, recipe blogs, and forums have sprung up around their magical multi-cookers. 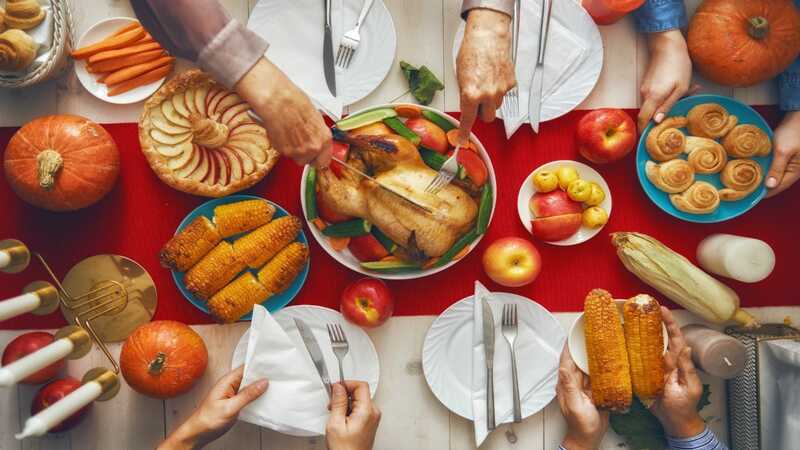 If the public’s enthusiasm for Instant Pot recipes has convinced you that an Instant Pot is worth the money and has you hopping on the train to faster cooking, you still have another decision ahead of you. The brand actually sells 26 different pressure multi-cookers across nine series, all with confusing names and different features—so which one is best for you? To help you decide, we've researched every Instant Pot available, from their budget offerings to their latest and greatest. Whether you're cooking for one or trying to feed a crowd, new to multi-cookers, like the idea of using a crockpot or yearn to be an electric pressure cooker pro, there's an option that's right for you. Though we haven't tested them all in our own labs yet, here are the models we recommend based on our experience, user reviews, and the typical selling price online. 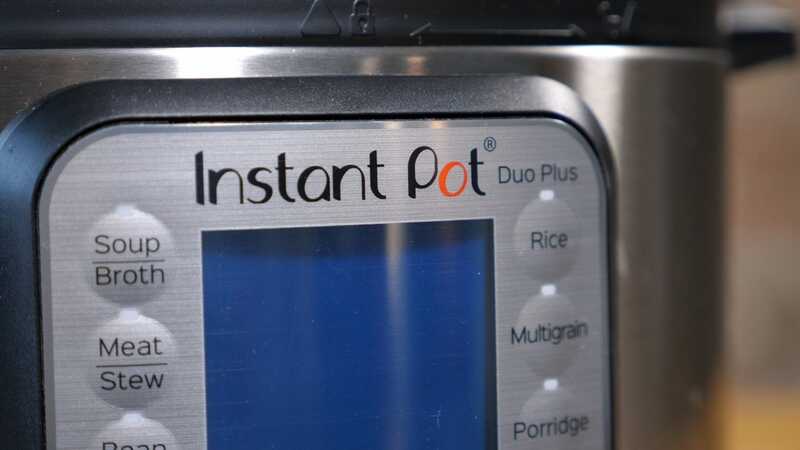 The most popular model of the Instant Pot to date is the Duo, a 7-in-1 cooker that can pressure cook, slow cook, make rice and yogurt, steam, warm and saute or brown meat and vegetables. Available in 3-, 6-, and 8-quart versions, the 6-quart is wildly popular and perfect for most people, with over 23,000 5-star reviews on Amazon. The Duo is one of the most versitile kitchen appliances you'll ever use. It comes pre-programmed with 14 different settings, ranging from soup to poultry to porridge, while the manual setting lets you customize to suit your recipe. The device can pressure cook at both high and low pressures, which gives you the option to cook food very quickly or avoid overcooking delicate foods. It offers three temperatures for saute and slow cook, as well as an automatic keep warm function—so don’t worry about hovering around your kitchen trying to time your meal. The Duo is popular, reliable, and perfect for most people, although it lacks some of the bells and whistles of more expensive models. If you want a reliable, easy-to-use multi-cooker without some of the bells and whistles (i.e. cake and sterilize functions, internet connectivity) of more expensive models, consider the Duo. The 3-quart is great for solo cooks and the 8-quart will please big families, and regular sales on the 6-quart mean the price often dips below $80. The Duo Plus is, well, exactly what the names says—the regular Duo, plus some more. This iteration also comes in three sizes and has all the standard features from the original model with the addition of "Cake," "Egg," and "Sterilize" settings. The alarm clock aesthetic of the Duo’s display has been updated to a blue LCD screen, which also shows icons that indicate selected settings. This model’s inner bowl also comes with more comprehensive max/mill fill lines etched into the bowl for your benefit. In general, the 9-in-1 Duo Plus affords users more customization and control than they have with the regular 7-in-1 Duo—every program comes with three adjustable settings for desired doneness, and there are three temperatures in "Keep Warm" to maintain food at different serving temperatures. The "Sterilize" setting is also attractive for those who are particularly concerned about food safety and the parents of infants. For these reasons, the Duo Plus ranks high in our round-up of the best multi-cookers on the market. With adjustable settings and and new programs, the 9-in-1 Duo Plus affords users more customization and control than they have with the regular 7-in-1 Duo. If you’re someone who is very particular about their recipes or likes to experiment in the kitchen with new techniques, the Duo Plus will give you the freedom you desire. 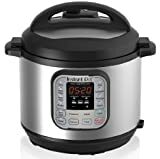 But if you’re just looking for a basic Instant Pot, you can save quite a bit by going with the more popular 7-in-1 above. The recently-released Smart WiFi, which has replaced the Smart Bluetooth, is an 8-in-1 appliance that shares most of its DNA with the Duo Plus, save for the latter’s "Sanitize" function. The real update is the addition of long-awaited WiFi connectivity, allowing you to set, monitor, and control your multi-cooker from virtually anywhere. We absolutely adored the Smart WiFi in testing, making it our top choice for the best multi-cooker you can get on the market right now. The real update is the addition of long-awaited WiFi connectivity, allowing you to set, monitor, and control your multi-cooker from virtually anywhere. If you’re not into micro-managing your dinner, the Smart WiFi also comes with 750+ pre-programmed recipes that simply let you press a button and forget about the meal until it's done. For now, it’s only available in the 6-quart size. Although the “Ultra” is a line all its own, it’s basically another step up from the Duo Plus—the Plus Plus, if you will. 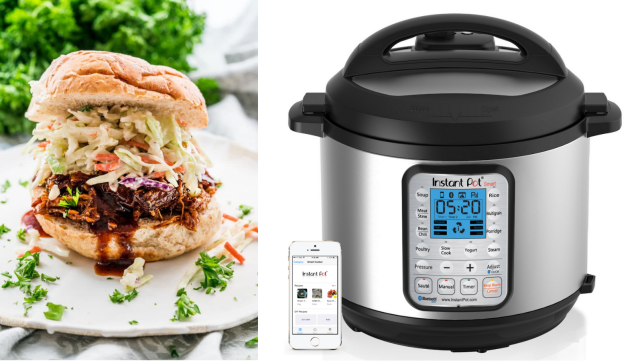 If you’re already familiar with pressure cooking and want the most that Instant Pot has to offer without WiFi connectivity, this is the device for you. The Ultra comes with all presets available on the Duo Plus and adds one key player—the "Ultra" program, which provides complete custom programming of temperature, pressure, time, and more. And with the "Altitude" adjustment, the guesswork is eliminated from recipe conversion to provide a more precise cooking time, regardless of location. Other useful bonus features include an indicator screen that shows you where you are in the cooking process, a sleek-looking dial, and a quick pressure release button. 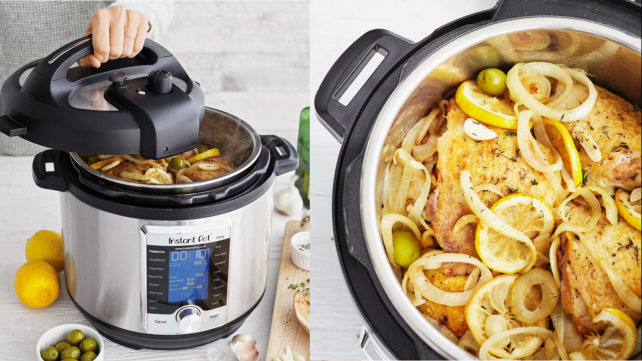 If you’re already familiar with pressure cooking and want the most that Instant Pot has to offer _without_ WiFi connectivity, the Ultra for you. The Ultra has the same 4.5-star average rating on Amazon as the Duo, and although the MSRP is higher, it’s occasionally on sale at a comparable price. 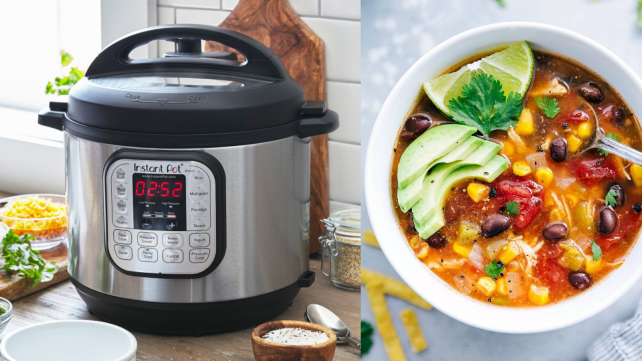 If you’re already familiar with pressure cooking or looking for the Mercedes of multi-cookers, the Ultra might be right for you—but if you’re overwhelmed by ten features (or really want to control your Instant Pot from afar), stick to the Duo or Smart. What do the different names and numbers mean? If names like the IP-LUX60 V3 and IP-DUO Plus 9-in-1 have you scratching your head, you’re not alone. 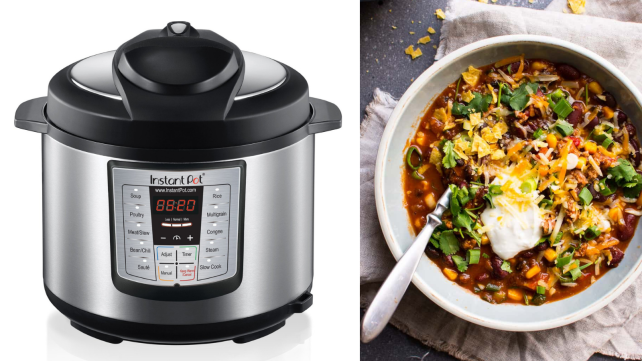 The naming conventions for different Instant Pot models can be confusing, particularly if you’re browsing online—where every models looks almost identical and Amazon bombards you with three-line titles. To help you interpret these names, let’s look at the example of the IP-LUX60 6-in-1 V3. 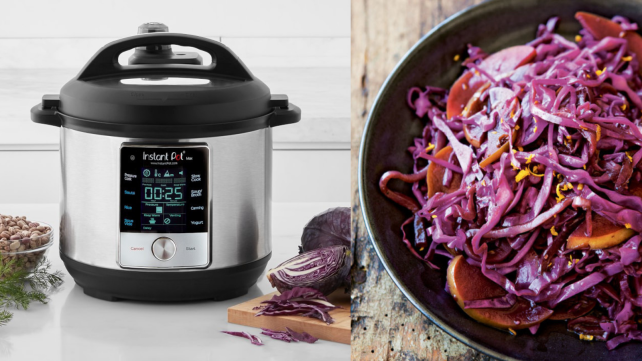 IP stands for Instant Pot (that one’s easy), LUX is the series name, 60 refers to its volume (6 quarts), 6-in-1 lists the number of functions, and V3 means version 3. If you’re new to multi-cookers or just don’t want to get into the nitty-gritty details of each product, focus on the volume and the the number of functions when you shop. If you live alone but like to experiment with different recipes, get a 3- or 6-quart model with lots of functions—or if you tend to cook the same few things for a whole family, get an 8-quart model with fewer functions. Some listings will just say the series name and only list the number of functions in the description, and most listings will leave out the version name, which is when you can assume it’s the latest version. While most series now come in 3-quart (often called Mini), 6-quart, and 8-quart sizes, some are only sold in one volume. The name of each series won’t mean much to you until you know what they all do, so we’ve outlined them to help you make the right choice. Due to inflated prices, defunct technology, or poor reviews, we think you should steer clear of these models for now. Announced in early 2018, the Max was positioned to be the next big thing for Instant Pot. With 1,100 watts (compared with the traditional 1,000 watts) and the ability to reach 15psi, the Max promised higher pressure, faster cooking, as well as some wild new pre-sets (sous vide! canning!) and a touchscreen. Unfortunately, the Max hasn’t been able to live up to its name. After a delayed release and middling-to-negative reviews from major players like CNET and Wired, the Max is finally available for pre-order—but only on Williams Sonoma, with no trace to be found at Amazon and other major retailers. Many reviews cite the Max’s inability to keep a consistent enough temperature for sous vide cooking, its lack of USDA certification for canning, and the fact it’s only sold in the 6-quart size. Reviewed hasn’t yet tested the Max, but we have plans to update our round-up of multi-cookers to include this model. Between poor reviews and roll-out issues, the Max hasn’t been able to live up to its name. For $200, you’d be better off buying the tried-and-true Ultra—or saving your cash for when Instant Pot works out the kinks in the Max. 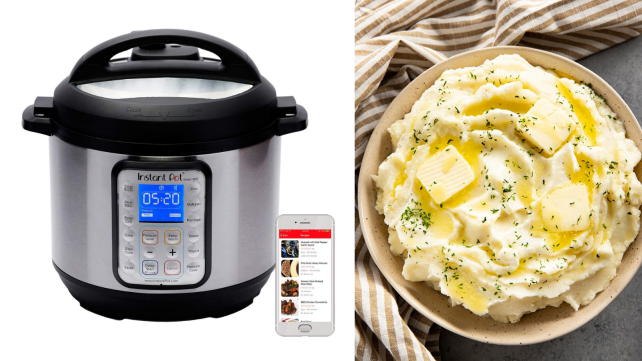 The Instant Pot Smart Bluetooth has all the functionality of the 6-quart Duo, plus Bluetooth connectivity for setting and monitoring your appliance from afar. So why shouldn’t you buy one? Instant Pot is phasing out of the Bluetooth version in favor of WiFi—making this model defunct and wildly expensive where available. Once sold for around $250, the price has ballooned up to about $600 from resellers looking to make a buck from those who are desperate or simply don’t know better. If you find a Smart Bluetooth for under $250, we can’t stop you from purchasing it—but know that the compatible app probably won’t be seeing any maintenance or updates anytime soon. Instant Pot is phasing out of the Bluetooth version in favor of WiFi—making this model defunct and wildly expensive where available. If you’re interested in the convenience of a Smart multi-cooker, check out the recently released Instant Pot Smart WiFi instead. 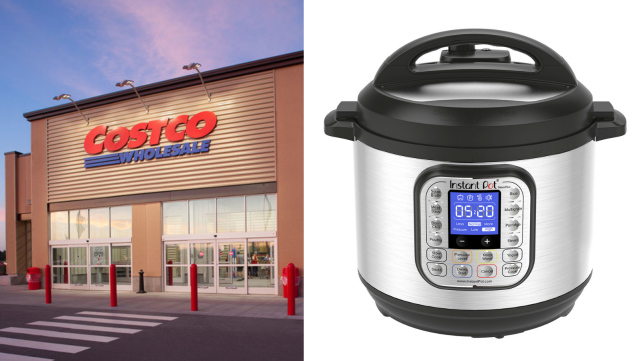 These are all the other Instant Pot pressure multi-cookers currently available. We haven't yet tested them in our labs or found compelling enough reviews and prices to recommend them, but they may still suit your needs. The Lux is Instant Pot’s popular base model, offering the fewest bells and whistles of all their pressure multi-cookers. While it features the "Cake" and "Egg" programs from the Duo Plus, it lacks "Bean/Chili," "Poultry," and "Yogurt" settings, as well as an option to cook at low pressure (although it still has the ability to pressure cook at high pressure). It also forgoes some of the accessories found on other models, like a condensation collector and cord rack. Unlike some of the speciality Instant Pot models, the Lux also comes in 3-, 6- and 8-quart sizes. While we prefer the Duo series, the Lux is still great at what it does and a solid option for those looking for a straightforward multi-cooker. The Lux is Instant Pot’s popular base model, offering the fewest bells and whistles of all their pressure multi-cookers. When it comes to price, keep in mind that this model usually costs around $79 online, but it rarely goes on sale. While the Duo usually sells for $100, it’s frequently on sale for as low as $69—so if you're willing to wait for a deal, the Duo may be cheaper in the end. The Viva is essentially the Duo Plus, but offered exclusively through QVC in a range of fun colors, including Eggplant, Cobalt, and Cinnamon. 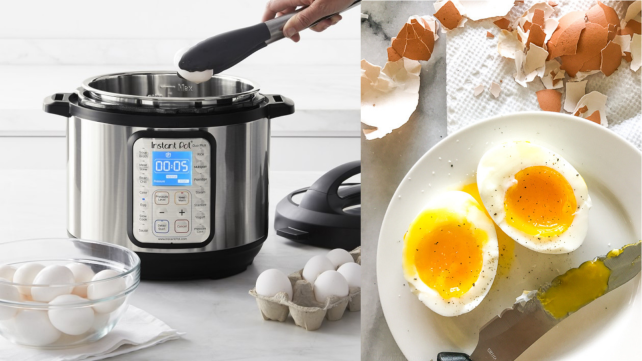 If you adore QVC and want an Instant Pot to match your kitchen, go for it—otherwise stick to the Duo Plus. The Nova Plus is a hybrid of the Duo and Duo Plus, sold exclusively through Costco. Essentially, it includes all the buttons and features of the Duo with the LCD display of the Plus, with a few random features from the Plus (sound controls, visual monitoring) thrown in. It claims to be a 9-in-1 appliance, but we only spot the seven main functions from the Duo on its lineup.